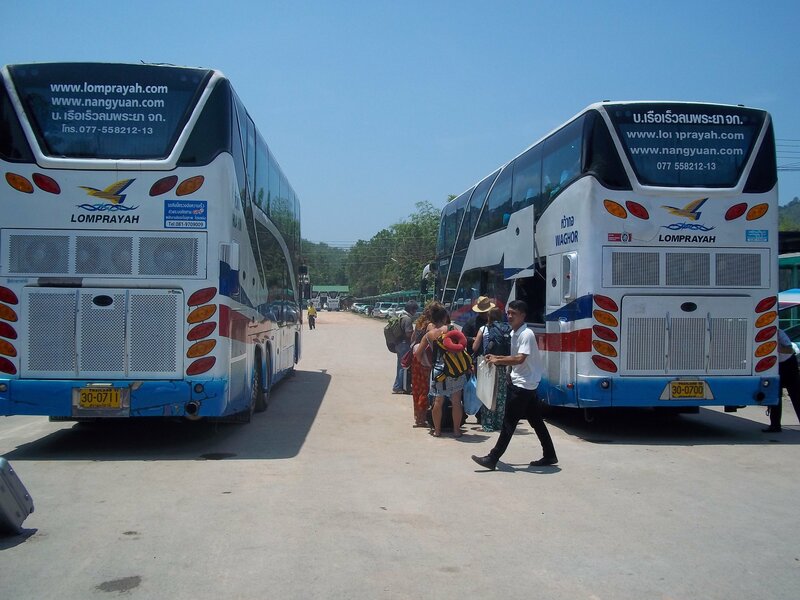 There is no direct train route between Kanchanaburi and Ayutthaya. You need to travel back to Bangkok and then change trains (and train stations) in order to do the journey by rail. The quicker option is to do the journey by road. There are two ways to travel by road. Go by minivan. This is a private service which takes around 3 to 4 hours and costs 380 THB. You can book this service via a travel agent or very likely your guest house or resort. They pick up from the resorts (this slows the process down) at around 1.30 pm every day. Nearly as quick, but only 130 THB for the total journey. 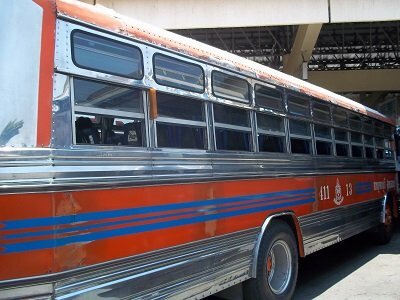 This journey has two parts: Part 1 – Take the public bus from Kanchanaburi bus station to Suphan Buri bus station; Part 2 – At Suphan bus station get off the bus and then take a minivan to Ayutthaya. I did it this way I found it pleasant and relaxed with the connecting departing 10 minutes after I arrived at Suphan Buri. The only mistake I made was trying to walk to the bus station from my resort near the river. 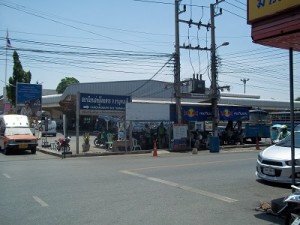 It is a short walkk to the Railway Station, but the bus station is another 2 km up the same road and too far to walk with a bag on a hot day. The bus station in Kanchanaburi is on the U-Thong Road, near to the turning with the Sangchuto Road, which the main road running through Kanchanaburi and upon which the Railway Station is located. To get from the Maenam Kwai Road (where most of the resorts are) to the bus station first walk up to the Railway Station, or the same road as Railway Station, and flag down a Songthaew, which is a converted pick-up truck, or a tuk-tuk to take you to the Sattanee Rot Bus (which means ‘bus station’ in Thai). 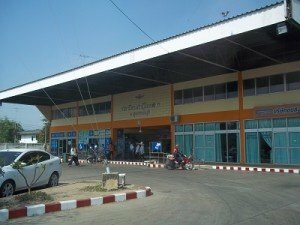 Once at the bus station you need to take the bus to Suphan Buri, where you then change to a minivan. The buses to Suphan Buri leave every 20 to 50 minutes from early in the morning until fairly late at night. 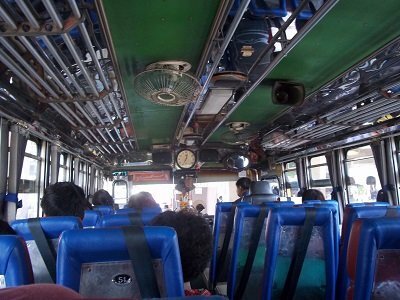 This part of the journey takes around 2 1/2 hours and costs 60 THB, which you pay on board. The bus normally leaves from gate 5, but ask and you will be directed to the right bus gate. There is no air-conditioning on the bus, and the fans stop when the bus starts moving. It gets pretty hot when the bus stops to pick people up but the windows are open and when the bus is moving there is a cool breeze. Two and a half hours doesn’t feel that long and you get to take a rest break in Suphan Buri Bus station before you start travelling again. The next stage of the journey by minivan feels very quick. We did it in 1 hour 15 minutes because we missed the evening traffic arriving at around 16.00. The minivan cost 70 THB per person and was comfortable and air-conditioned. Buy the minivan ticket before you get on. 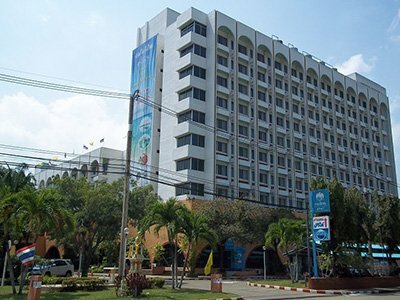 The drop-off point in Ayutthaya is on the Naresuan Road near Wat Mahatat and the historical park. If you are staying near the river get a tuk-tuk from there as it is a but too far to walk. 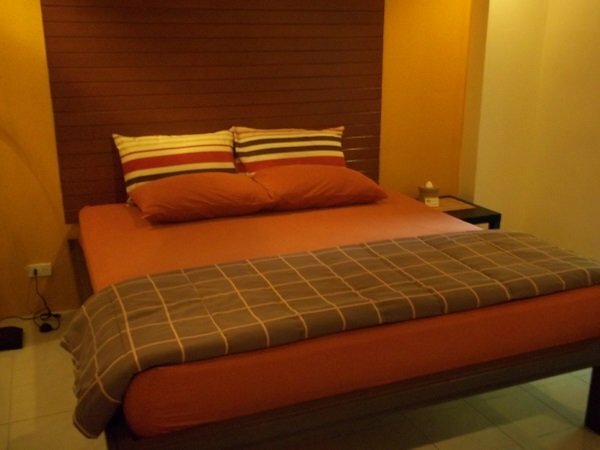 The Baan Baimai Boutique Room is my favourite mid-range hotel in Ayutthaya. This is a small, quirky, family run guest house with nicely furnished room on the ground floor leading onto a small peaceful garden. 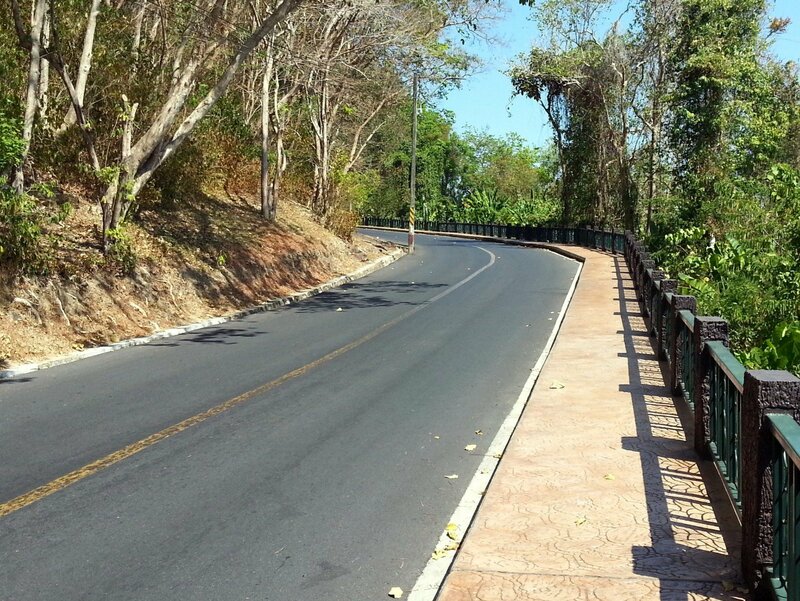 The Baan Baimai Boutique Room is about 2.6 km from the historical park which is just about close enough to walk although you would be better off borrowing one of the bicycles that are available to guests at no extra charge.